Jeffery Hansen – -Aspiring Entrepreneurs. Design Enthusiast. Artist. Anthropologist. Future Thinker. Life Hacker. "If you fear failure, you'll never go anywhere"
Building 12 business for 12 months of the year. Local bike renting service in Odense. Aspiring Entrepreneurs. Design Enthusiast. Artist. Anthropologist. Future Thinker. Life Hacker. "My biggest fear in life, is not doing anything with it." I am a recent graduate in B.Sc. 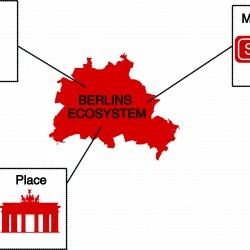 Market and Management Anthropology in which I studied Berlin Start-up Culture in its Start up Ecosystem for my Bachelor Thesis. I have great understanding in analyzing markets and have the right tools in order to understand other cultures. From my personal background of Danish/Filipino descent and growing up in South-East Asia, I am naturally very adaptive and have a very ambitious attitude with a quick learning curve. I have a curiosity towards new technology and fascinated by it. My experience in doing anthropological fieldwork, equips me with the skills to understand other cultures in an analytical way, this includes the organisational, business and community context as well. Posts ranging from Tech, Business, People, Society, Life Hacking, Entrepreneurship. For faster response, contact through this form below.